Christmas is coming! 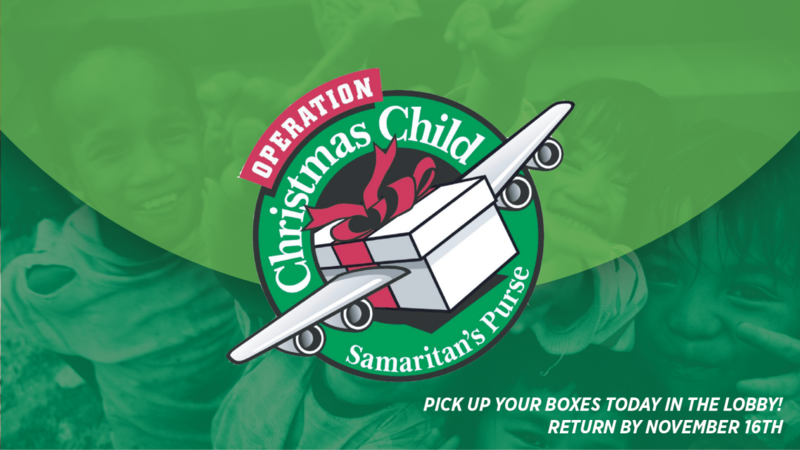 Don’t worry, you still have time to fill a shoebox for Operation Christmas Child! You can pick up information and an empty shoe box today in the lobby! Collection deadline is November 16th.